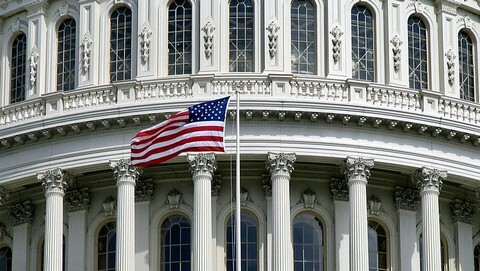 In a 228 to 191 vote on Thursday, the House approved the Republican-backed $3.5 trillion fiscal year 2013 budget plan, Government Executive reports. Provisions under the plan include extending the federal pay freeze of civilian workers and reducing the government’s workforce by 10 percent through 2015. If passed, federal employees would also have to provide more of their own funds for retirement benefits. Overall, the measure aims to cut around $368 billion throughout the next decade, according to Government Executive. The plan now moves to the Democratic-controlled Senate. The measure is not expected to pass in the Senate, Government Executive reported. This does not make sense. The plan should not focus on a 10 percent reduction in Federal Employees. The Federal Employees that will be cut are currently doing things that will have to also be cut. Does anyone know what those things are? We need decisions to cut activities or work. Then we need an orderly process for cutting the workforce that does those things. We should not, however, plan to cut things being done without understanding the impact of those cuts. I’ve seen this simplistic approach to budget drills for almost 40 years now and it always, in some way, results in waste, fraud and abuse.